» The Fundamental Rights is sections of the Constitution of India that prescribe the fundamental obligations of the State to its citizens. 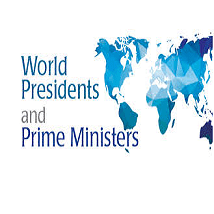 » The Fundamental Rights is defined as the basic human rights of all citizens. These rights, defined in Part III of the Constitution, apply irrespective of race, place of birth, religion, caste, creed or gender. » They are enforceable by the courts, subject to specific restrictions. » Seven fundamental rights were originally provided by the Constitution – right to equality, right to freedom, right against exploitation, right to freedom of religion, cultural and educational rights, right to property and right to constitutional remedies. » However, the right to property was removed from Part III of the Constitution by the 44th Amendment in 1978. » The purpose of the Fundamental Rights is to preserve individual liberty and democratic principles based on equality of all members of society. » Dr Ambedkar said that the responsibility of the legislature is not just to provide fundamental rights but also and rather more importantly, to safeguard them. 7. Right to constitutional remedies (Article 32). » Originally Constitution provided seven Fundamental Rights viz. 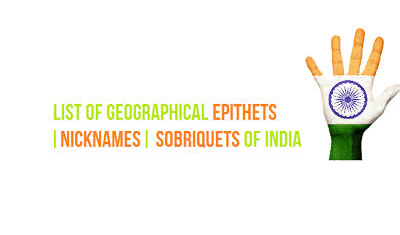 » At present there are only six Fundamental rights, six fundamental rights are described below in brief. How many fundamental rights are there in the Constitution of India? The Constitution guarantees six fundamental rights to Indian citizens as follows: (i) right to equality, (ii) right to freedom, (iii) right against exploitation, (iv) right to freedom of religion, (v) cultural and educational rights, and (vi) right to constitutional remedies. 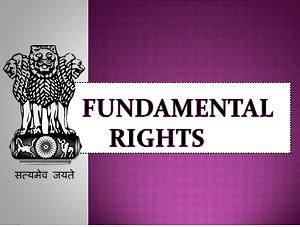 What are the fundamental rights in India? Seven fundamental rights were originally provided by the Constitution – right to equality, right to freedom, right against exploitation, right to freedom of religion, cultural and educational rights, right to property and right to constitutional remedies. The right to property was removed from Part III of the Constitution by the 44th Amendment in 1978. What is the right to equality? Right to Equality. The Constitution says that the government shall not deny to any person in India equality before the law or the equal protection of the laws. It means that the laws apply in the same manner to all, regardless of a person's status. This is called the rule of law. What is right to constitutional remedies? Right to constitutional remedies [Article 32 to 35] empowers the citizens to move a court of law in case of any denial of the fundamental rights. For instance, in case of imprisonment, the citizen can ask the court to see if it is according to the provisions of the law of the country. Which fundamental right cannot be suspended even during an emergency under article 352 of the constitution? During a national emergency, many Fundamental Rights of Indian citizens can be suspended. The six freedoms under Right to Freedom are automatically suspended. By contrast, the Right to Life and Personal Liberty cannot be suspended according to the original Constitution.